DOWNTOWN: The Standard Hotel and Takami Lounge will have new rooftop competition downtown. 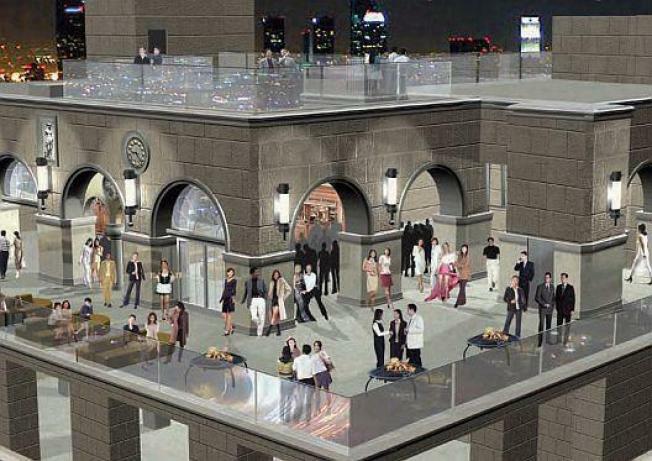 The Pershing Square Building at Hill and 5th will be opening a new rooftop lounge with "8,700 square feet of entertainment space and an observation deck on three separate levels." SHERMAN OAKS: Eater provides a look at the newly renovated Max's in Sherman Oaks. Not just a physical nip/tuck, the restaurant has also undergone a "conceptual change" as it abandons fine dining for a casual bistro. DOWNTOWN: Also on Eater's fall tracking radar: Downtown's Provecho on the ground floor of 800 Wilshire. Expect modern Mexican and an extensive tequila list, opening sometime in October.